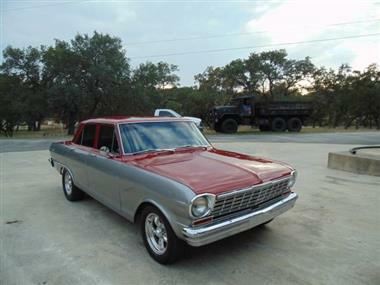 1964 Chevrolet Nova in Helotes, TX for sale. 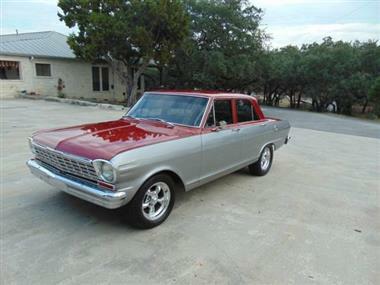 1964 Chevrolet II Nova Sedan (TX) - $24,500Location Helotes TX 78023Contact Raul 210-885-3168Vehicle has under gone a full restoration. 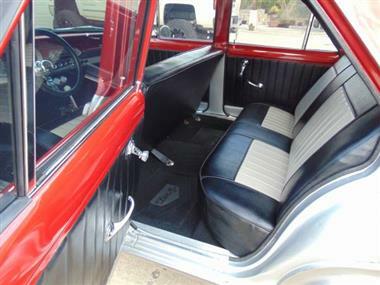 Restoration was completed August of 2017 and includes the following Custom Red and Silver paint job, New weather strip and seals, Silver and black reupholstered interior. 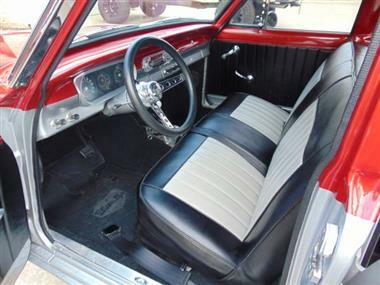 The original 6 cylinder was replaced with a freshly rebuilt 327 engine with camel hump heads and turbo 350 automatic transmission. Freshly rebuilt gears and posi track. 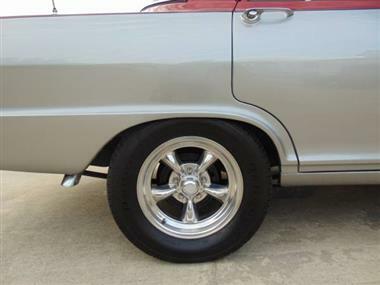 New tires and rims. 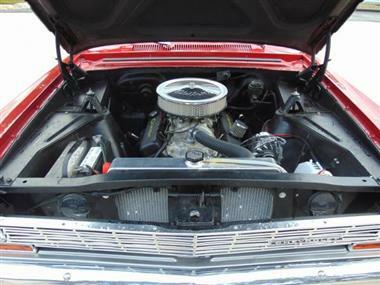 The motor should be producing around 380 horsepower. 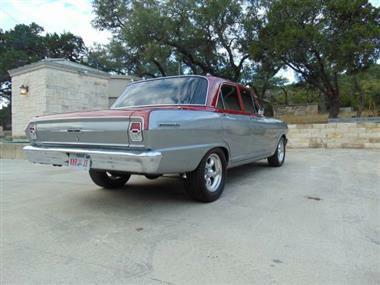 The vehicle has been garage kept and is running great! 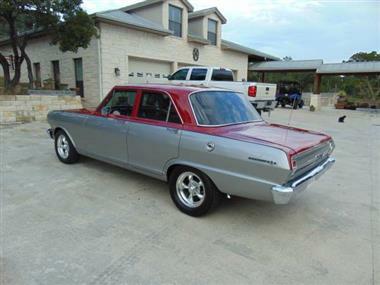 Contact the seller for more information and to set up a test drive. CASH ONLY, not interested in any type of trades. 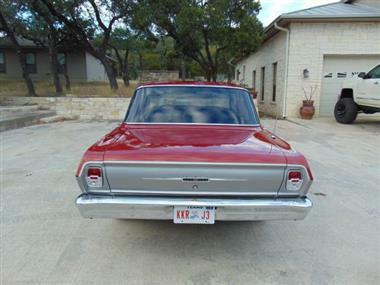 Seller will provide the title, bill of sale, and application for title in person at time purchase.